ANMVI member associations cover all scientific field of veterinary medicine and offer a wide range of events for post graduate continuing education. Base and advanced courses, seminars, congresses are organized by the national affiliated associations in a specialized and well equipped Study Centre attracting more than 12,000 veterinarians each year. The Study Centre in Palazzo Trecchi is very well equipped with technological and didactical facilities such as video and teleconference. eachers, both from private profession and academic institutions, provide high standard quality didactics, according to the most advanced scientific achievements. National Congresses collects the most recognized experts all over the world. A School of Post Graduate Advanced Veterinary Studies is also working in Palazzo Trecchi to provide high level training courses specializing in small animal clinic. Masters are also organized with University (Faculties of veterinary medicine). 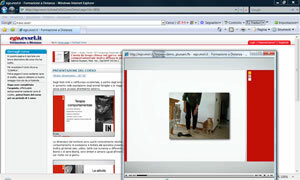 Programs of continuing education are also offered in English language both for Italians and foreign veterinarians. A rich veterinary library is open seven days a week for free reading. It collects hundreds of study texts and research books and all new titles released by national and international publishers. Events follows a national program of continuing education (ECM) as ruled by the Ministry of Health. 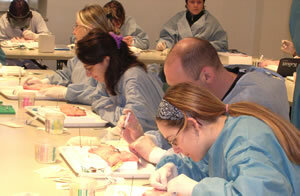 Continuing education is mandatory for all sanitary professions in Italy. A three-year program has been organized with Regione Lombardia in order to develop a wide international cooperation with foreign veterinary institutions and organization and to favorite the most specialized advancement in veterinary science in the Italian Region of Lombardia, by means of knowledge sharing programs focused in the food hygiene and public health sectors. ANMVI is partner in the Milan EXPO 2015 event, as pre-agreement issue for the Food Village Project.